After suffering six straight losses since the beginning of academic spring break, No. 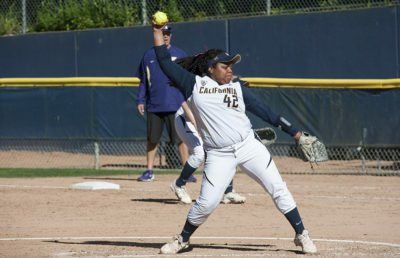 22 Cal softball will be looking forward to a break from Pac-12 opponents. Cal’s losing streak extended to seven games after a sweep at the hands of No. 11 Arizona, pushing the team to 1-8 against Pac-12 competition this season and 24-11 overall. The Bears were unable to put together a complete performance against the Wildcats to secure a victory. 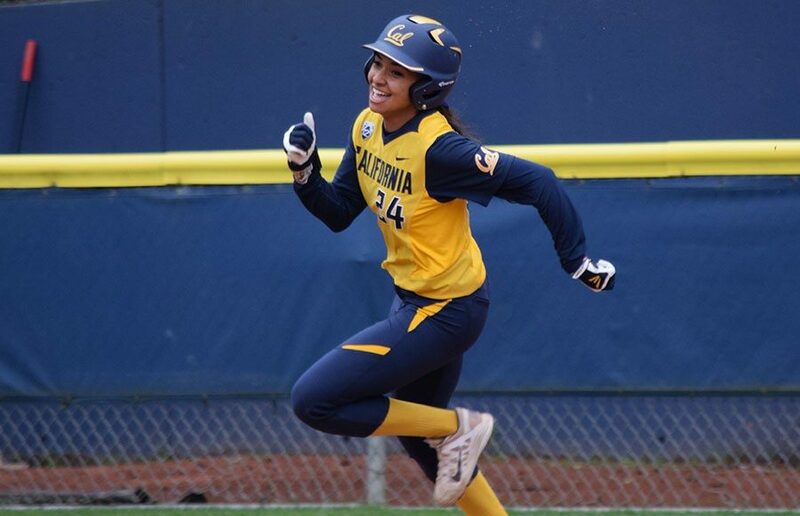 Offensively, Cal was anemic at the plate, scoring only five total runs in three games. As a team, the Bears hit a measly combined .146 at the plate and couldn’t get production from their core. The bats were also unable to come up with hits in key at-bats despite solid performances from their pitchers, junior Kamalani Dung and redshirt junior Zoe Conley. Cal’s bats were silenced in a 3-0 loss as the Wildcats’ junior ace Taylor McQuillin pitched a complete game gem. McQuillin allowed no walks and a single hit over seven innings while striking out eight Bears, moving to 17-4 on the season. Senior Kobie Pettis was responsible for the lone Cal hit, which came in the form of a bloop single into left field. The lackluster offensive performance spoiled Conley’s quality start. Conley took the loss but only allowed three runs in six innings to go along with two strikeouts. The Bears’ offense rebounded in a contested matchup but failed to produce runs in key at-bats late in the game. With the game tied, 2-2, in the bottom of the ninth, Arizona senior Ashleigh Hughes blasted a walk-off solo home run that bounced out of the outstretched glove of sophomore Bradie Fillmore and landed over the fence, giving the Wildcats a 3-2 win. Despite Hughes’ extra-inning heroics, Dung had an outstanding outing in the circle, pitching all eight innings for the Bears. Until the walk-off, she had only given up two runs, despite allowing eight hits. Looking to salvage a win before the series’ end, Cal’s offense jumped on top of Arizona, 3-0, in the top of the first inning of this game. Fillmore and freshman Mikayla Coelho each had a pair of doubles and combined for all three RBI. 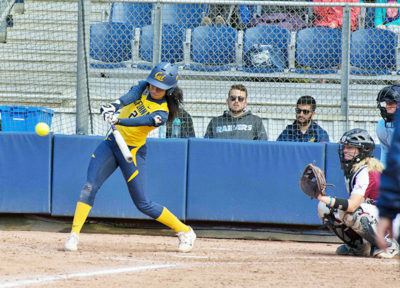 Unfortunately, the Bears’ promising start was squashed by the Wildcats, who scored six runs in the first three innings to take a commanding 6-3 lead. Neither Conley nor Dung exhibited ace stuff in this game. Conley was credited with the loss after giving up three runs in two innings, while Dung allowed Arizona to take the lead with a three-run bottom of the third. After adding one more insurance run in the fifth, the Wildcats secured a 7-3 victory and the series sweep. Looking ahead, Cal will face Pacific in an away game Tuesday and return to Berkeley to host Saint Mary’s on Wednesday.